Savory beef stew and lemony lentils are made for sharing. Parties need not be big to be successful. Sometimes the best parties are casual gatherings of a few friends. Simpler menus ― for you or for your guests to prepare ― help put the focus on the fellowship. 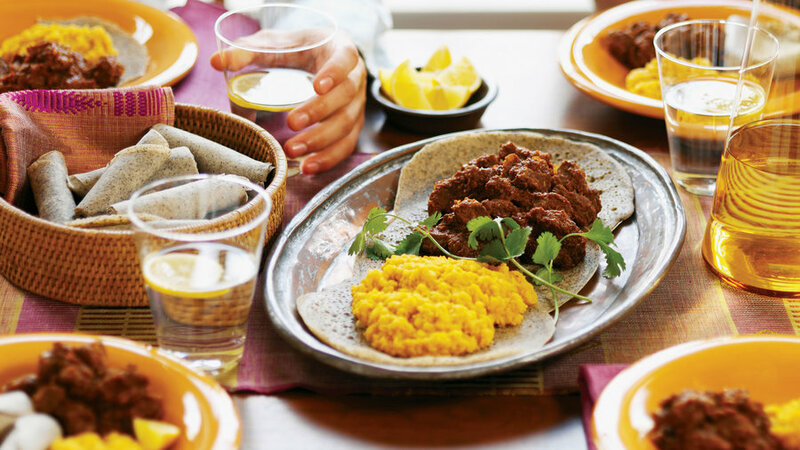 Ethiopian-style dishes make for a finger food feast. A casual won ton party is easy and fun when everyone helps. When the weather chills, warm up some friends with star stews. A make-ahead brunch lets you enjoy your guests’ company.